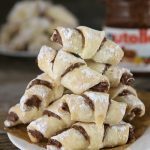 These rugelach cookies also referred to rogaliki are filled with a nutella (hazelnut) chocolate spread that works wonderfully for baking. 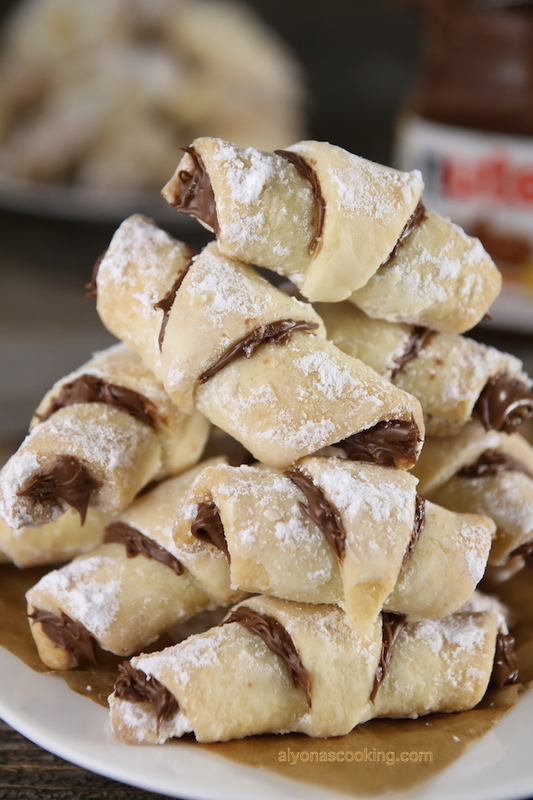 A big thanks to my aunt who shared this rugelach recipe with me. 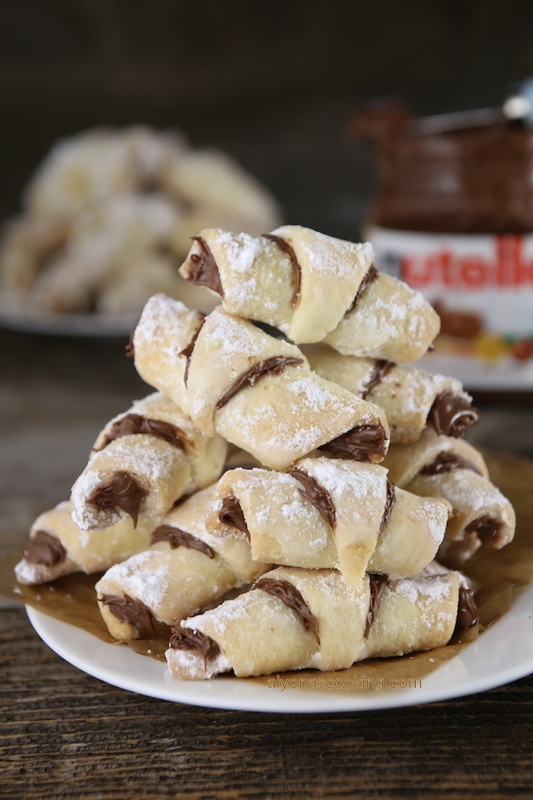 Nutella holds up so well during baking so don’t be intimidated by the idea. And of coarse feel free to use other well-known fillings of your choice. 1. 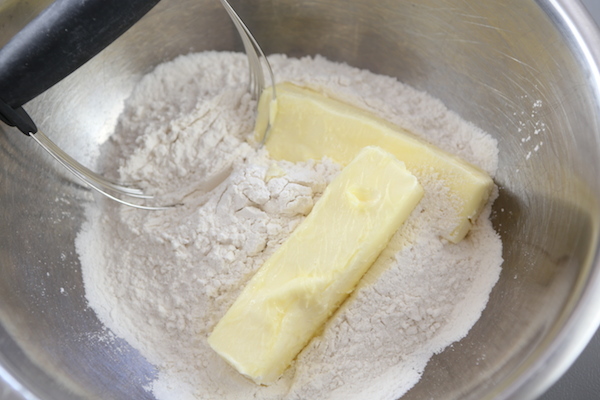 In a large bowl cut the butter into the flour until the mixture clumps together easily. 2. 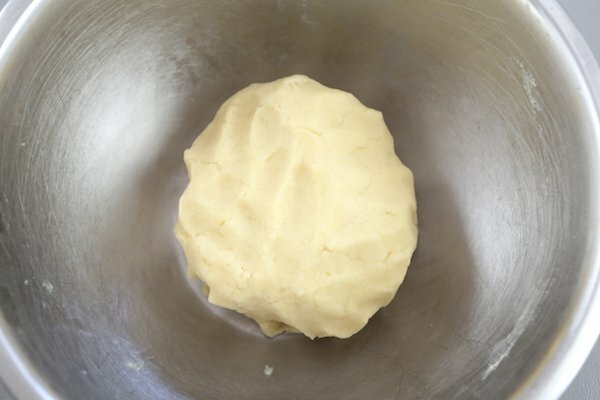 Add in the cream cheese and sugar and continue to cut into the mixture until well incorporated. 3. 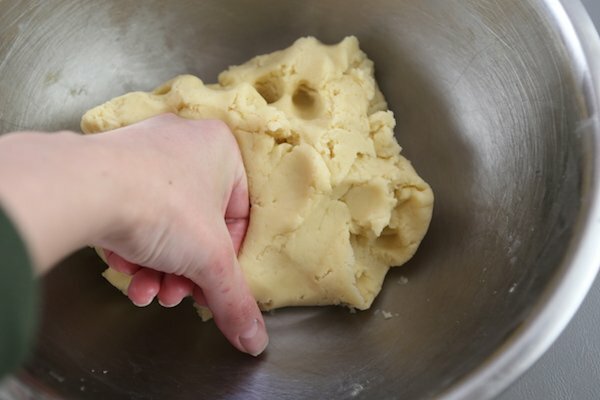 Stir in yolks until blended (you can use your hands) then lightly knead and form into a ball; cover and refrigerate for 45 minutes. 5. 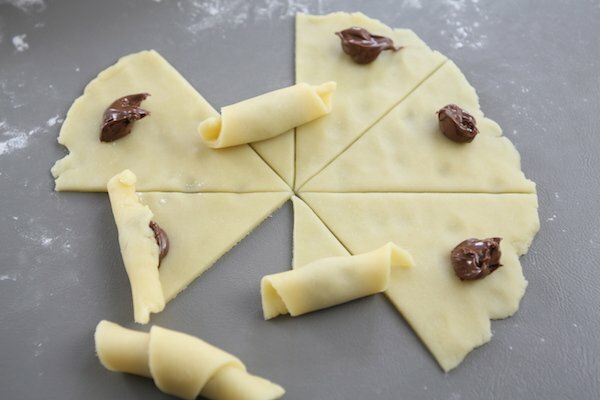 Cut circle into 8 slices; place about 1/4 a tsp of nutella onto the widest part of the slice and roll towards the center creating a small crescent. 6. 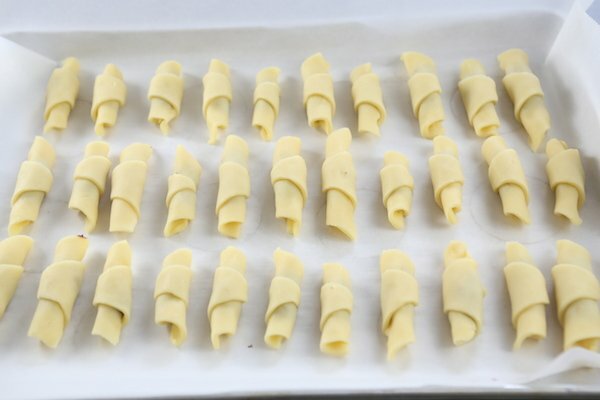 Place onto a lined baking sheet and keep refrigerated until baking sheet gets full. 7. Preheat the oven to 385 degrees F and bake for 22-25 minutes or until lightly golden. 8. 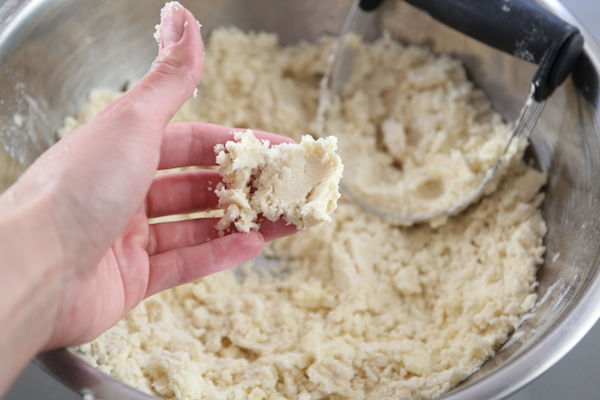 Dredge warm cookies into powdered sugar and enjoy. 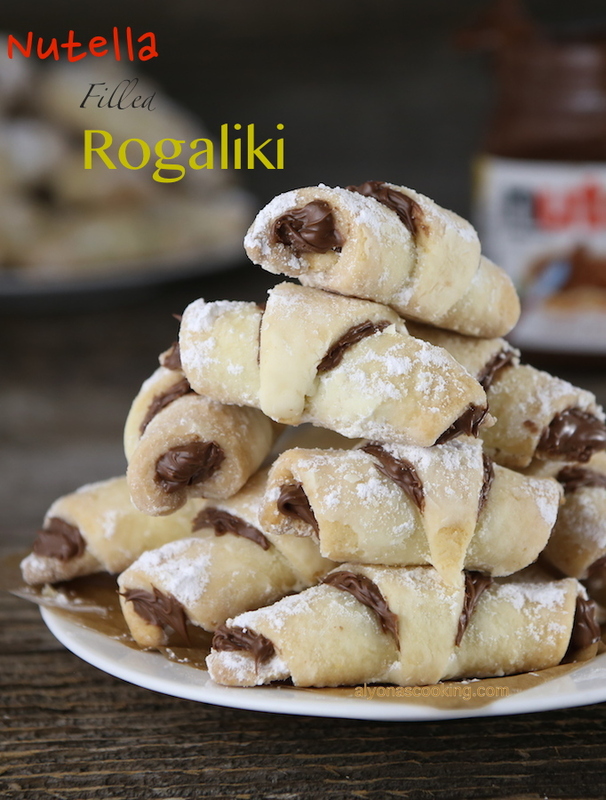 These rugelach cookies also referred to rogaliki are filled with a nutella (hazelnut) chocolate spread that works wonderfully for baking. 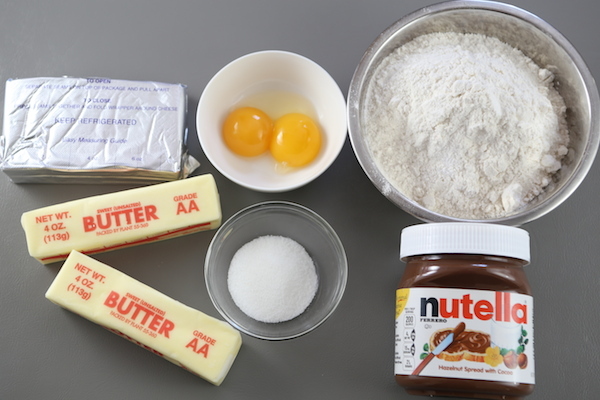 In a large bowl cut the butter into the flour until the mixture clumps together easily. 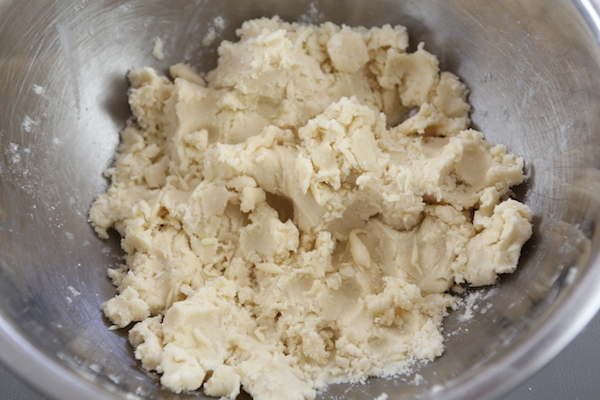 Add in the cream cheese and sugar and continue to cut into the mixture until well incorporated. 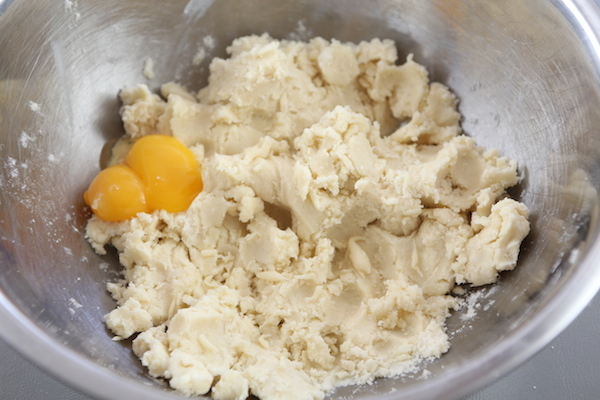 Stir in yolks until blended (you can use your hands) then lightly knead and form into a ball; cover and refrigerate for 45 minutes. 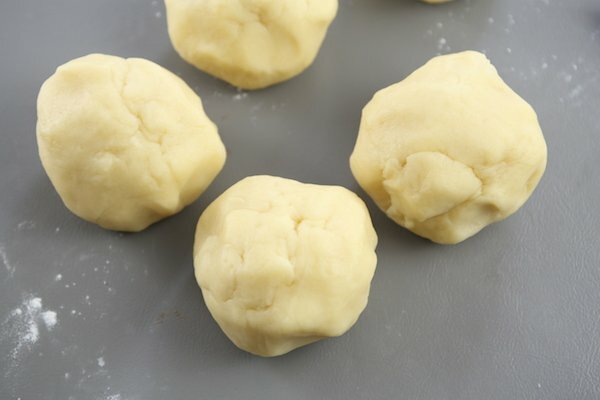 Remove chilled dough and equally divide into 6 balls. 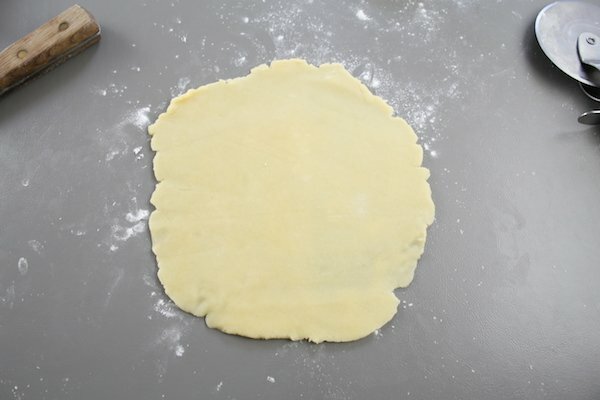 Working with one ball of dough at a time (refrigerate the rest until needed) roll into an 8-inch circle. 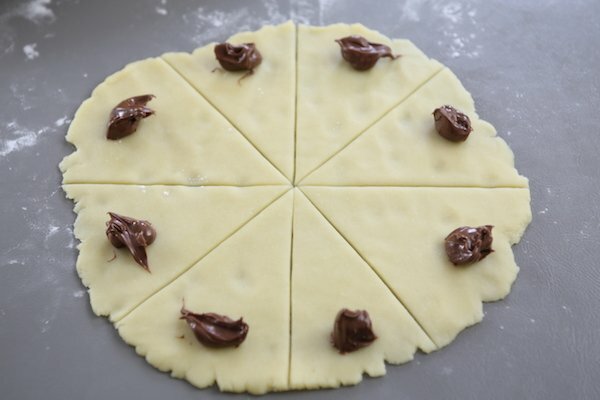 Cut circle into 8 slices; place about 1/4 a tsp of nutella onto the widest part of the slice and roll towards the center creating a small crescent. 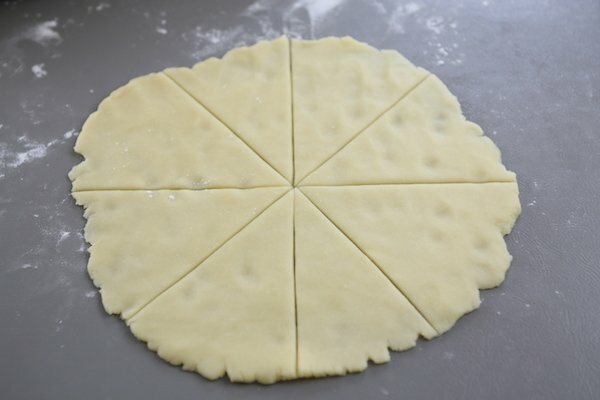 Place onto a lined baking sheet and keep refrigerated until baking sheet gets full. Preheat the oven to 385 degrees F and bake for 22-25 minutes or until lightly golden. Dredge warm cookies into powdered sugar and enjoy. 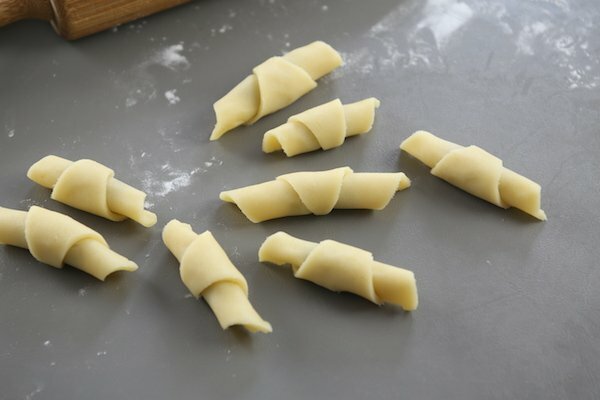 How nice and easy recipe it is I have question please why we refregreat the pastire until we baking it all? You could try skipping that step but refrigeration may have been a step for easier handling and perhaps prevention from sticking as much.